Back when my flying anxiety was at its worst, I thought that even the slightest mechanical problem would cause my plane to go crashing down. In my mind, even a loose screw on the plane meant my flight was doomed. Of course, it sounds silly now, but it’s what I truly believed at the time. So what's a thinking trap? To sum it up, a thinking trap is a pattern of thinking that distorts reality, creating illusions in our mind. We experience negative thoughts based on things that aren’t true. Why does this matter? 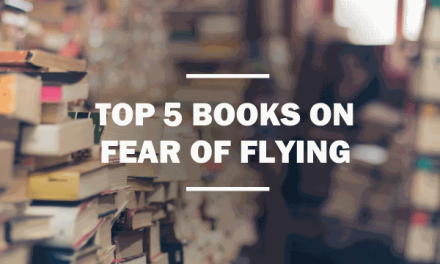 Because if you have flying anxiety, chances are you’re caught in at least one thinking trap. Because of their sneaky nature, you almost always don’t realize that you’re snagged in one. In this post, I’m going to explain what these thinking traps are, and how to unhook yourself to stop the cycle. How do we Form Thinking Traps? Most of the time, we unknowingly pick up thinking traps, or cognitive distortions as ways to protect ourselves in stressful situations. Then we unintentionally practice them in different aspects of our lives. And you know how the saying goes: Practice makes perfect. After a while, these thinking patterns become automatic habits that cause us to live unnecessarily in fear. But the reality is that thinking traps do not protect us - In fact it's quite the contrary, they perpetuate our fear. This common thinking trap refers to the tendency to dismiss positive facts, events, feelings, and experiences, while instead fixating on, and exaggerating the negatives. An easy way to understand this thinking trap is to think about the news. Just by reading the newspaper it’s easy to see that most of the content focuses on negative, depressing events. Positive events are rarely mentioned. They’re simply not as attention-grabbing as corruption and disaster. Much like the news, our mind tends to filter out the infinite number of facts which prove flying is safe, and instead, focus on the negative, like an airline accident that occurred many years ago. But when you only focus on the dangers of air travel, you form a very distorted view of the aviation industry. Do you fixate on the very few airplane accidents that have occurred, while discounting the millions of successful flights that take place every year? Do you ignore air travel safety statistics that prove flying is safe? If you answered yes to any of these, then it’s likely you’re caught in this thinking trap. The catastrophizing thinking trap is the tendency to constantly imagine the worst case scenario when thinking about the future. You may find yourself thinking about everything that could go wrong on your flight. Something as ordinary as an unfamiliar sound, or motion on the plane can trigger your fear, and cause you to go spiraling. You might find yourself visualizing vivid scenes of an oncoming disaster that you’re absolutely certain is going to happen. This thinking trap tricks you into believing that you can predict the future. And usually, the imagined future is disastrous. You predict something bad happening if you go through with your plans. “Fortune telling” can trick us into thinking that normal, everyday occurrences are omens warning us. Fearful flyers who suffer from this thinking trap, meaningless events like a flight delay can be seen as a foreshadowing of catastrophe. If you interpret traffic jam on the way to the airport, flight delay, long lines at the airport, etc. as signs that you’re not meant to get on that flight. Black or white thinking refers to the tendency to think in extreme terms. If you categorize most of your experiences as good vs. bad, lose vs. win, dangerous vs. safe, etc. then the “black and white thinking” is likely one of your thinking traps. The reality is that most of what we experience is not absolutely one way or another. In other words, most things fall into a “grey zone” falling somewhere between two extremes. When we polarize situations into extremes it can lead to lots of problems for us - ie. flying anxiety. Black and white thinking” can cause us believe that if flying isn’t absolutely, 100% safe - it must be dangerous. Or if there are ANY problem at all on our plane, it means we’re going to crash. In reality, this is far from the case. Firstly, because of preflight checks and extensive flight planning, emergency situations are extremely rare events during flights. And even if the rare case that something does go wrong, there are an abundance of emergency procedures to ensure the flight is able to either continue smoothly or land safely. If you believe that ANY small mechanical issue on an airplane, will result in the plane breaking apart, blowing up, or crashing down. If you find yourself obsessively researching whether turbulence, mechanical issues, bad weather, etc. have ever caused a crash, in the hope of finding the answer to be an absolute “NO,” in order for you to feel good about flying. Negative Self Labeling is the tendency to create a negative self-image based on your past mistakes or failures. This thinking trap can make you a prisoner of your anxiety by making you think that you’re not capable of overcoming your fear of flying, and are simply destined to have flying anxiety forever. This thinking trap is the difference between thinking “I am a failure,” as opposed to, “I haven’t figured it out yet.” When you’re caught in this trap you tend to believe these negative voices of self-doubt in your head to be the absolute truth. When in objective reality, overcoming your flying anxiety is entirely possible. If you’re caught in this trap, you might never even attempt to try overcoming your fear of flying, or you might give up at the first setback. 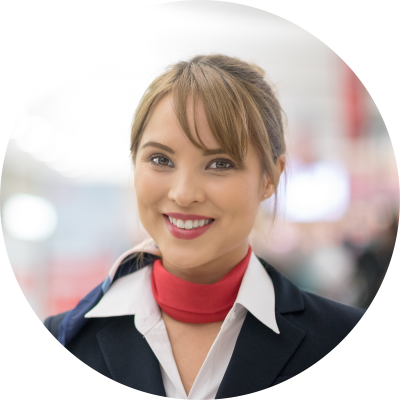 Negative self-labelling is particularly dangerous because it can cause you to never start the process of conquering your flying anxiety. It can cause you to simply give up at the first setback. Don’t worry - It's actually good news. Why? Because awareness is the main ingredient when it comes to eliminating these thinking traps. When you’re able to see these traps for what they truly are (unhelpful thinking patterns) that are completely separate from reality, it takes away their power over you. Pay attention to your thoughts, and identify these thinking traps when they come up. In doing so you can stop these “stories” from playing out in your head. Study these thinking traps carefully. If you can, memorize them. 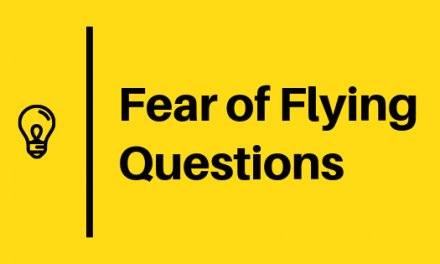 Think about the last time you experienced flying anxiety, and see if you can identify which thinking trap was behind that fear. In the future, every time you start to get anxious about flying, try to name the thinking trap that is driving your scary thoughts. As you notice yourself doing this, bring awareness to your thoughts. As the thoughts play out in your head, challenge these thoughts. Remind yourself that these thinking patterns are simply old habits that are not grounded in reality. Doing this simple practice over and over can help you break free from these thinking traps- Pretty soon you will notice that they are no longer there. Thinking traps are negative thought patterns that can cause our flying anxiety. Learning about these traps helps you understand whether they contribute to your flying anxiety. And if so, how to recognize them as they come up, so that you can stop the cycle of fearful thoughts. Which of these thinking trap sounds familiar to you? 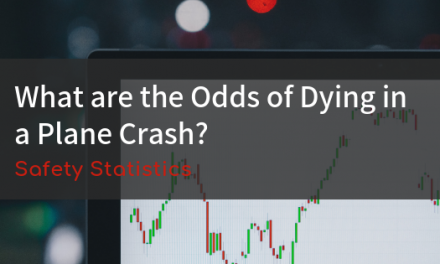 NextWhat are the Odds of Dying in a Plane Crash?